No pilot plans to have an accident. Free, convenient and worth every minute of your valuable time, AOPA Air Safety Institute online courses, safety quizzes and live safety seminars are the best ways for busy pilots to stay on the top of their game. Now there's another great advantage—the Accident Forgiveness and Deductible Waiver Enhancement. AssuredPartners Aerospace and AIG Aerospace Insurance Services, Inc. joined the AOPA Air Safety Institute to improve pilot safety while helping to lower your out-of-pocket expenses in the event of an accident. Many of our insurance partners have adapted the program for select policies to offer accident forgiveness and deductible reward programs. Accident Forgiveness is available on select insurance policies underwritten by AIG Aerospace Insurance Services, Inc., USAIG, Old Republic Aerospace, Starr Aviation, Global Aerospace, and U.S. Specialty Insurance. This valuable coverage enhancement waives part of the policy's deductible and—even better—prevents the policy renewal rate from increasing as a result of the accident. Simply participate in qualifying AOPA Air Safety Institute safety education every six months. Online – Select from self-paced, interactive topics and enjoy informative, engaging content wherever and whenever you choose. 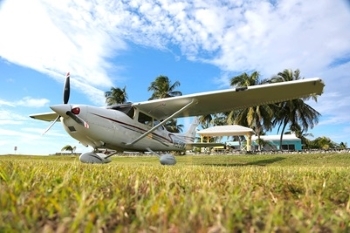 Seminars – Attend one of the more than 200 free AOPA Air Safety Institute live safety seminars offered each year throughout the United States, and learn from professional instructors in the company of fellow pilots. No pre-registration required. Visit Accident Forgiveness for a complete listing of qualified courses and seminars.